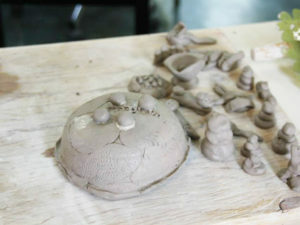 Here you can read about what clay is, where to find it and how to work with it. 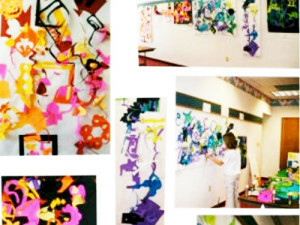 Using the technique of cutting paper, participants will be making positive and negative shapes that will be used to create a composition. 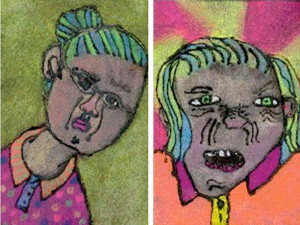 Students will learn about Expressionism as they create portraits in the style of artists like Emile Nolde, Edvard Munch and Vincent van Gogh. 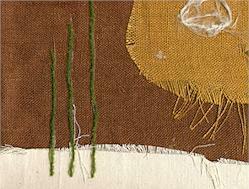 A great way to use up those scraps of fabric, yarn and other found objects is to make a fabric assemblage or collage. 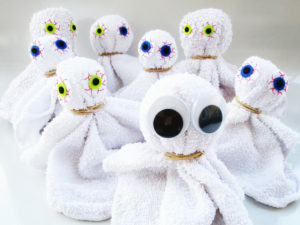 Creating these little facecloth ghosts is fun and easy and will have kids working on their fine motor skills. 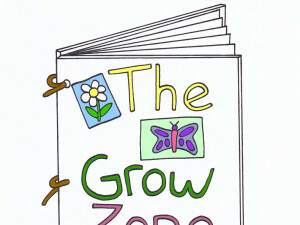 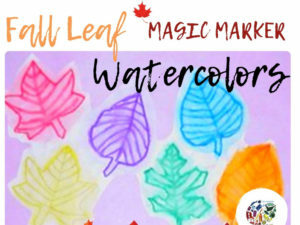 Kids will use watercolor pencils or washable markers to create leaf-themed works of art. 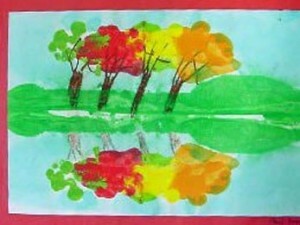 Students will create a fall scene using the monoprinting method. 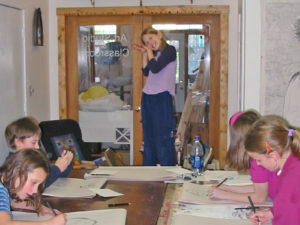 They will create simple space, the foreground and the background using one line. 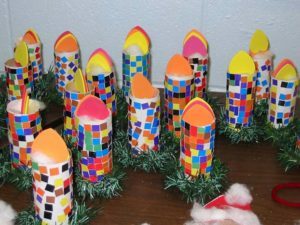 Learn how to make decorative mosaic candles using toilet paper rolls and paper. 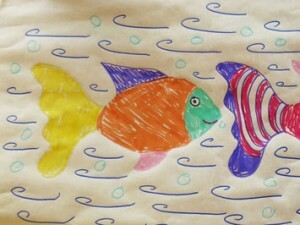 Learn how to create colorful banners with fish as the theme. 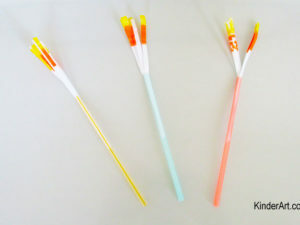 Learn how to make flameless sparklers that are safe for little hands. 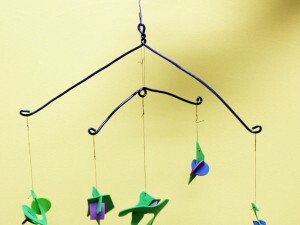 A step by step lesson plan that shows you how to construct a foam and wire mobile. 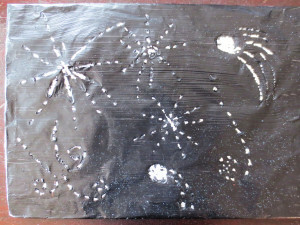 By using aluminum foil instead of paper, students will create fabulous (and shiny) works of art. 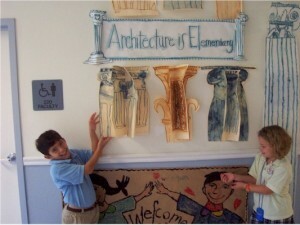 Students will learn the importance of Ancient Greek architecture and discover how society has been inspired by Ancient Greek art, law, literature and architecture. 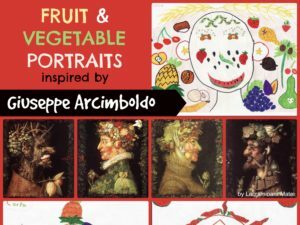 Students will create fruit and vegetable portraits inspired by the work of artist Giuseppe Arcimboldo. 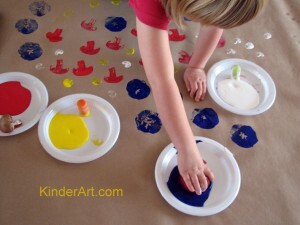 Students will use fruits and vegetables to create prints. 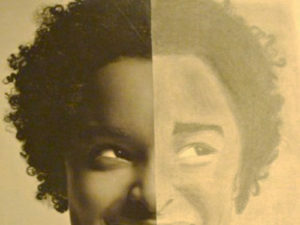 This is a terrific, inexpensive way to introduce printmaking to your students. 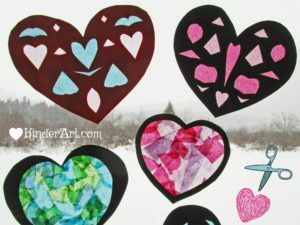 This is a form of printmaking that can be done with all ages — even adults! 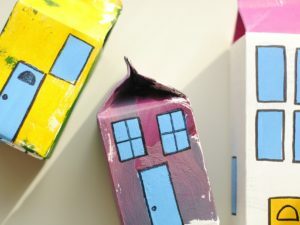 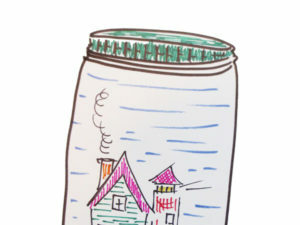 When the kids are bored and looking for something to do, make some of these fun and inexpensive crafts. 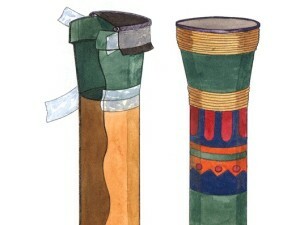 Learn how to make a dumbek or conga drum with materials from your garden shed. 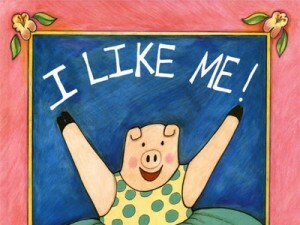 Students will create portraits of themselves after reading the book “I Like Me” by Nancy Carlson. 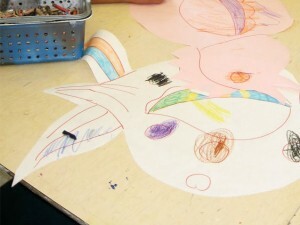 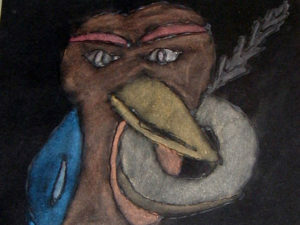 This lesson plan shows students how to make giant stuffed bird sculptures out of paper. 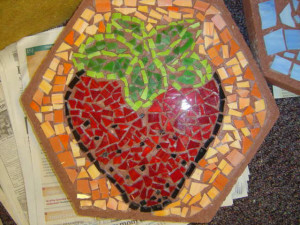 Students will design, transfers design to cement paver, safely cut art-grade glass to shape, create permanent mosaic glass design on cement paver and secure with cement mortar and watersealer.